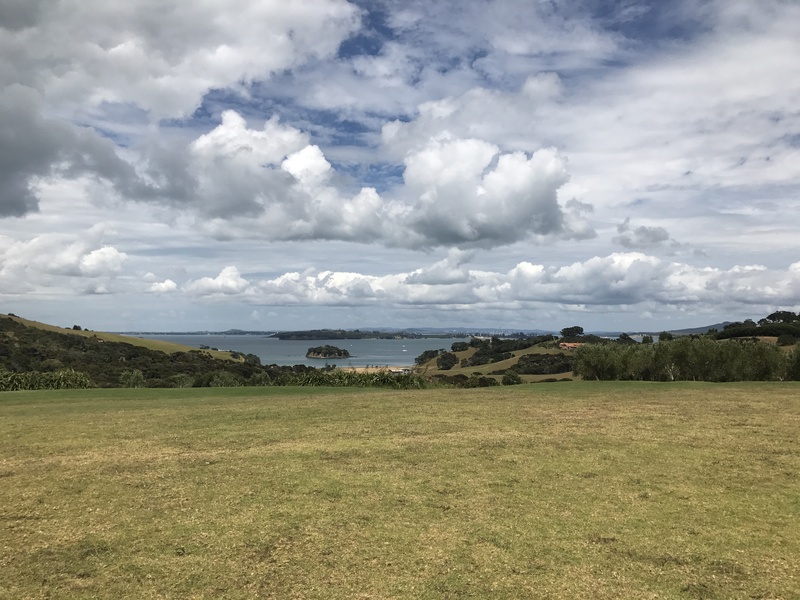 If you go to New Zealand make sure you plan in a trip to Waiheke Island. 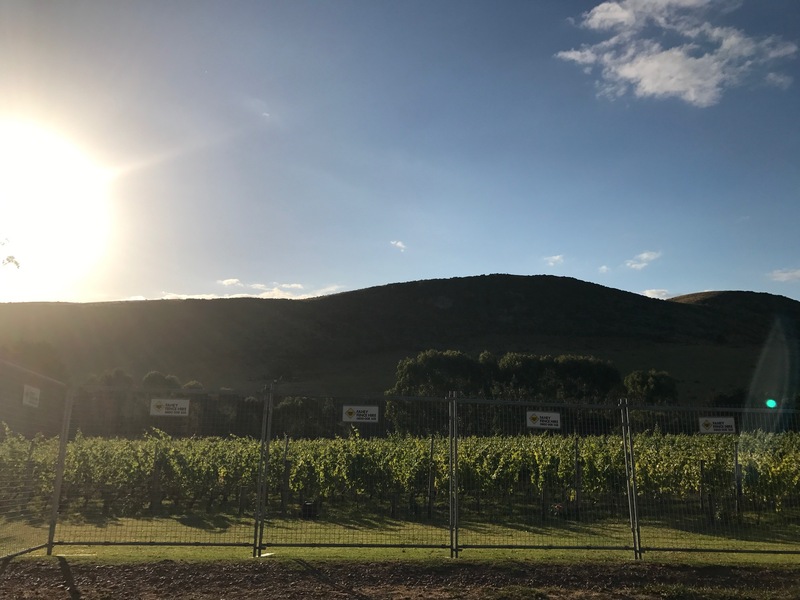 Home to 25 vineyards it is little wonder this free spirited destination is celebrated as the Island of Wine. And with that much vino being lovingly created in such a condensed area, you would be mad not to visit! 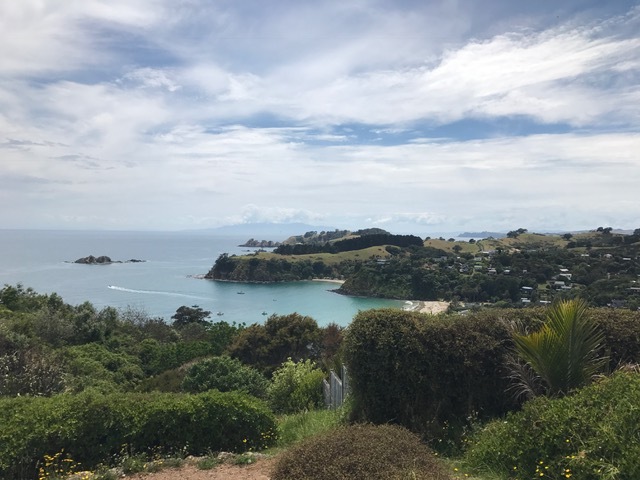 Before setting foot on Waiheke island, Lee and I read an article published in the Guardian online entitled “48 Hours on Waiheke Island…” (which you can read here) and we found the recommendations in this article to be of great use, so be sure to check it out for yourselves too. 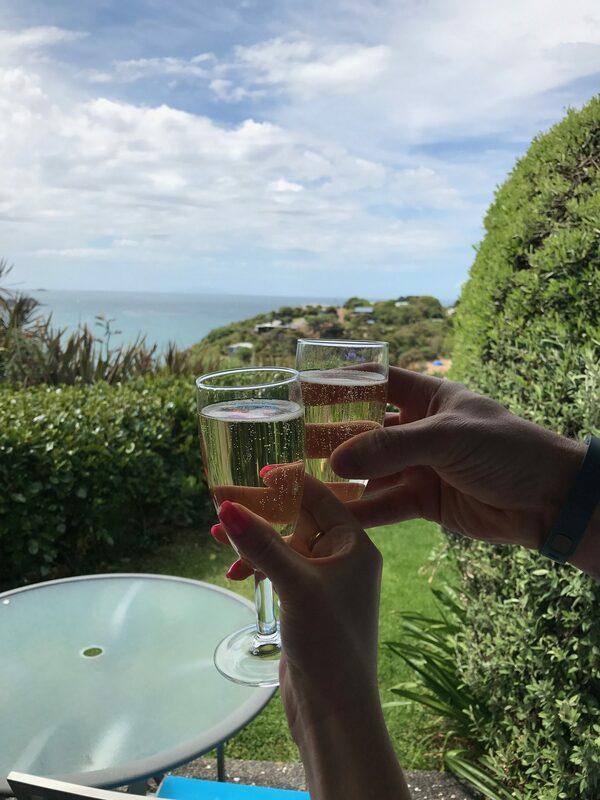 We were lucky enough to be on Waiheke for 3 nights from the 31st Dec 2016 – 3rd Jan 2017, which of course meant our bringing in the bells on the Island. 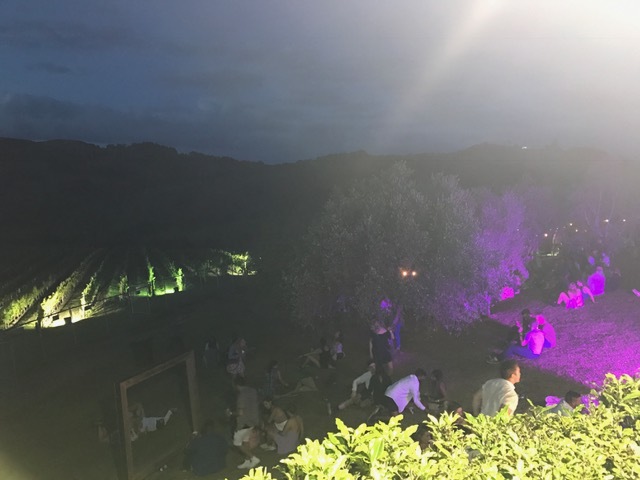 And what better way to do it than at a festival on a vineyard?! 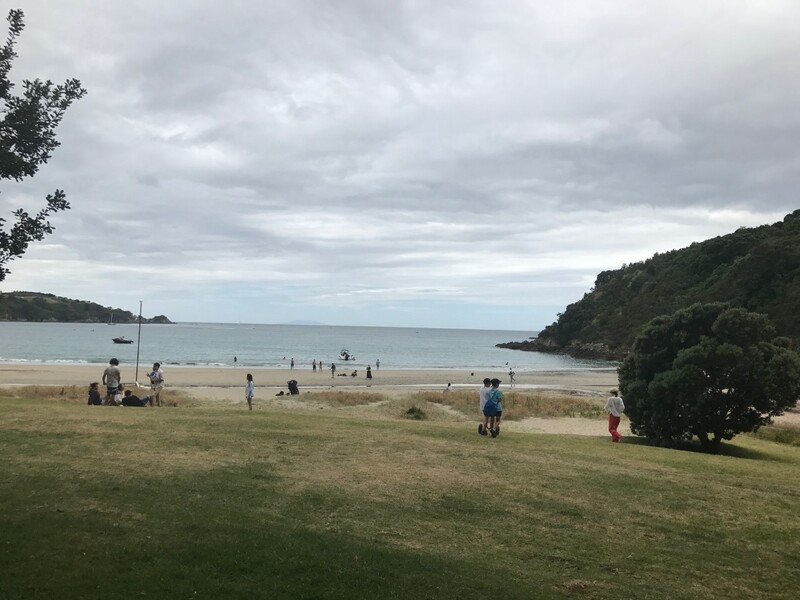 When we were on the ferry from Auckland harbour over to the island, the majority of the passengers were also heading to the same festival, so there was a pretty joyous vibe during the 35 minute crossing. 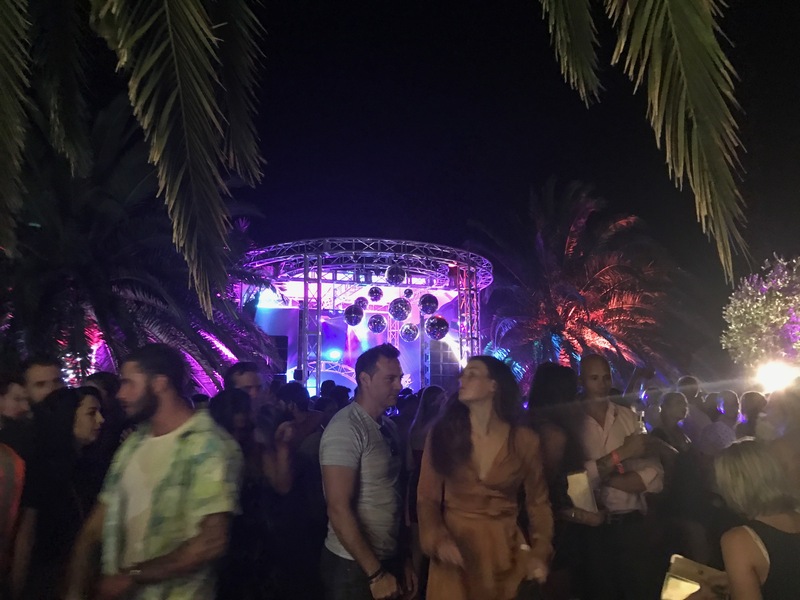 A vibe that you will experience on the island regardless of a festival visit or not. Getting over to Waiheke is super easy. Tickets can be picked up from the Fullers ticket office at the marina on the day – no need to pre-book – and an adult return is only $36! You can find more info here. 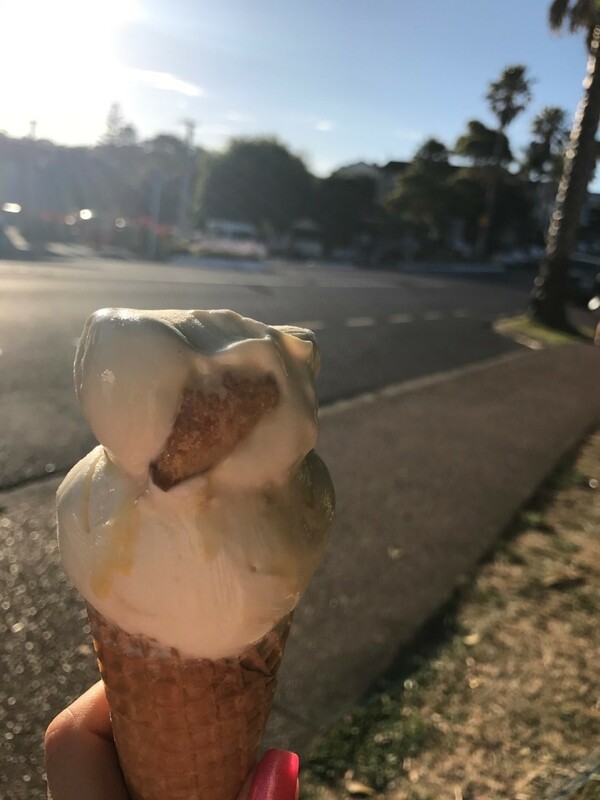 In order to condense this prose as much as possible, I am sectioning my recommendations for Waiheke into three sections: EAT, DRINK and BE MERRY. 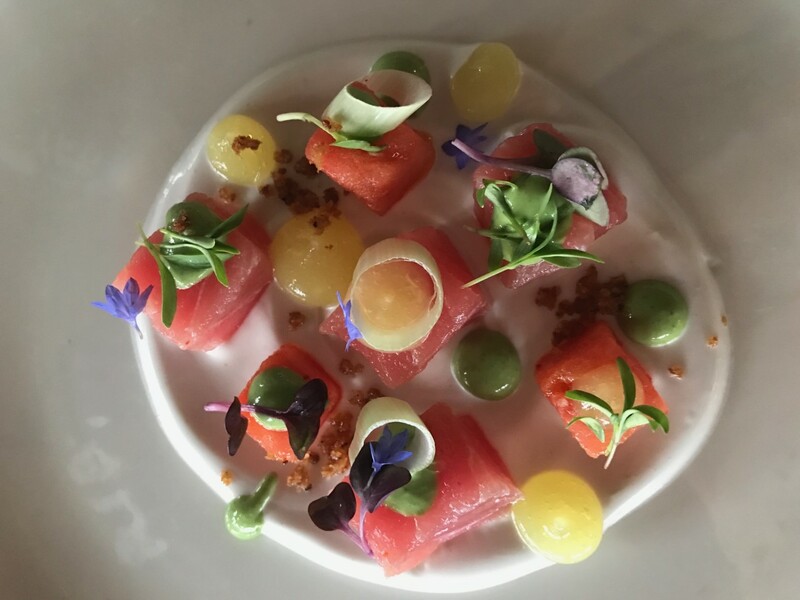 From the more relaxed ambiance of Te Motu, the restaurant at Mudbrick is set up as more of a fine dining experience. 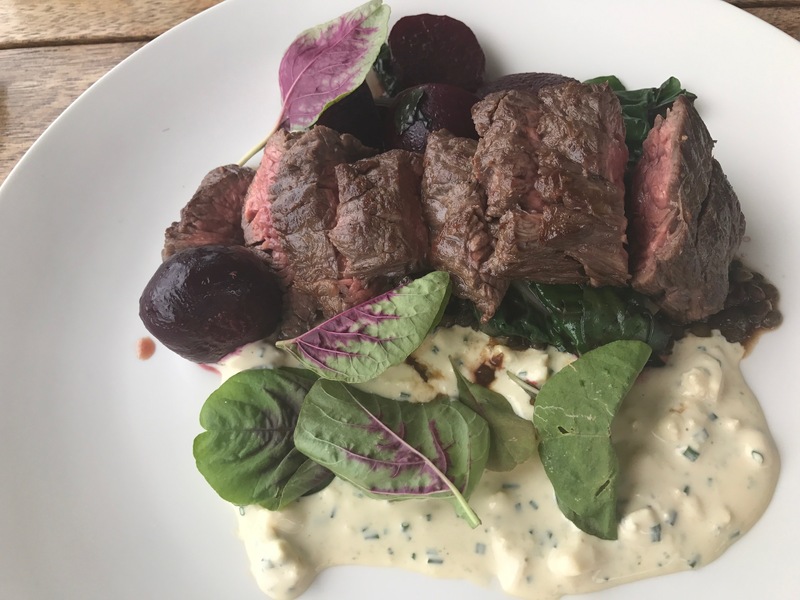 The style is very European vineyard with cobbled stones and brick walls, the servers are super smart and knowledgeable about the menu and the twinkling candles that surround you, add to the romance of the place. 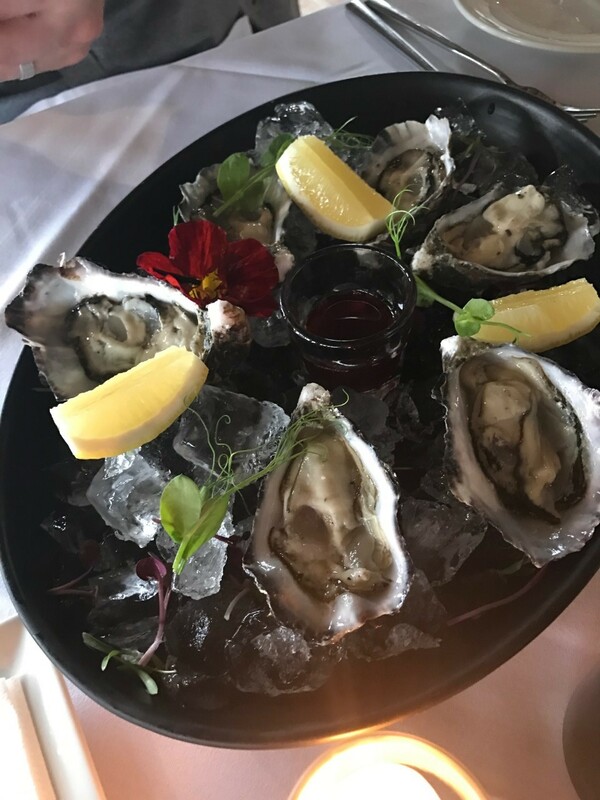 Again the food here was delectable, do not miss a meal at Mudbrick! 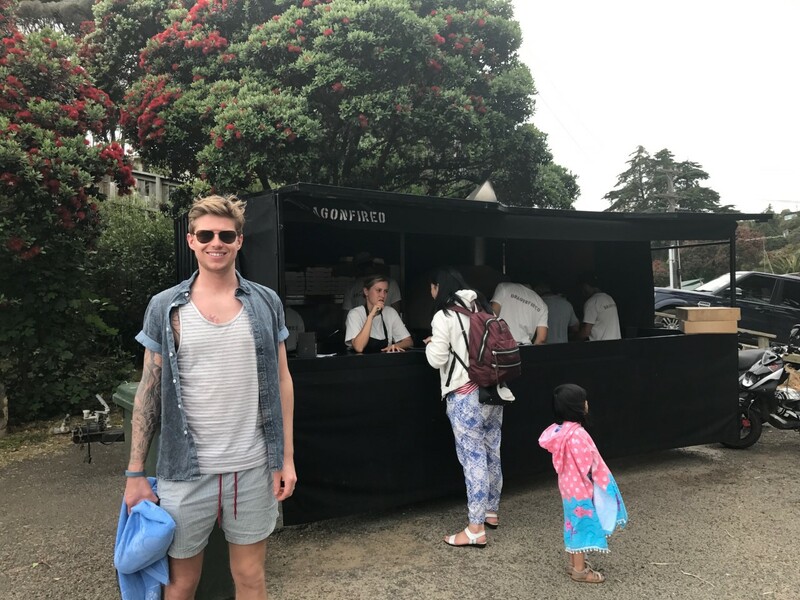 Down at the beautiful little Oneroa Beach, you’ll find this busy cart serving up wood-fired food. 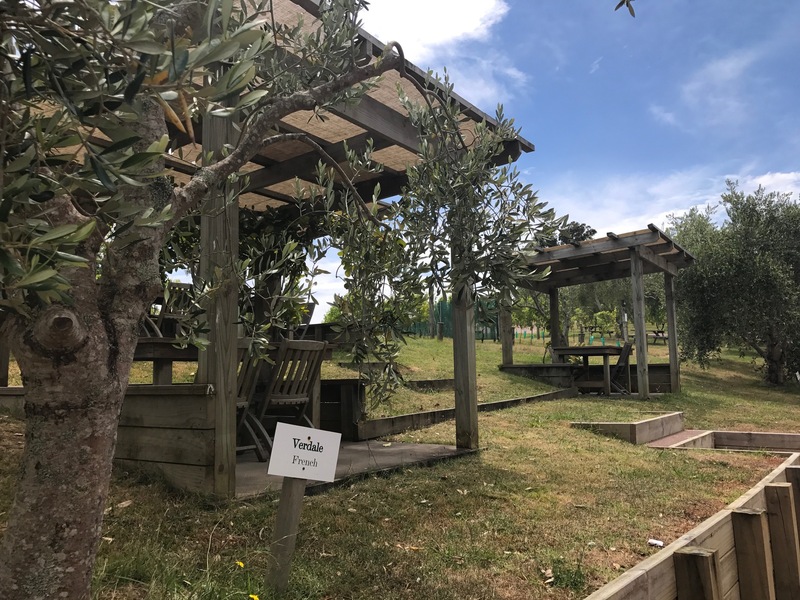 My recommendation: purchase a bottle of your fave type of wine (either in Oneroa town, which is right next to the beach, or directly from a vineyard), order up a calzone pizza and sit on the beach with both and enjoy. This is something the locals in the area like to do in the early evening, so be like a local and get involved! 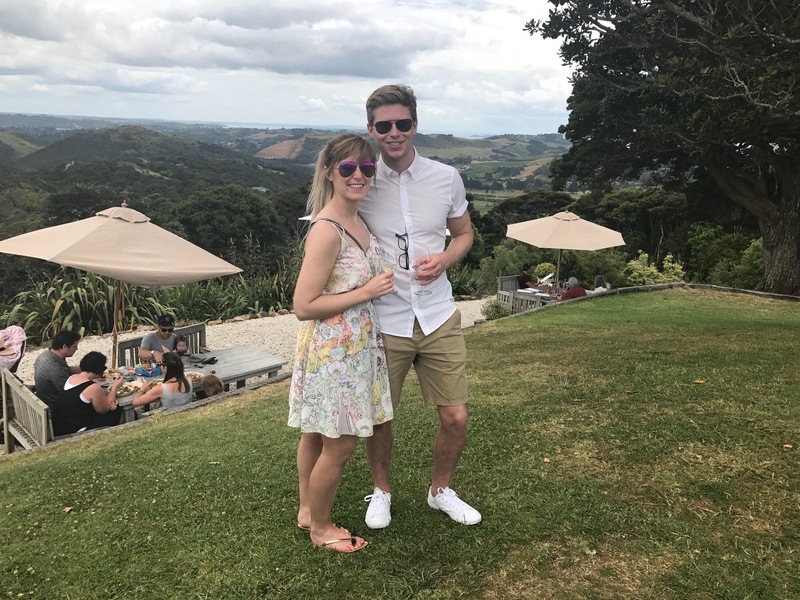 If you do one thing during your stay on Waiheke Island, make sure you book a vineyard tour! 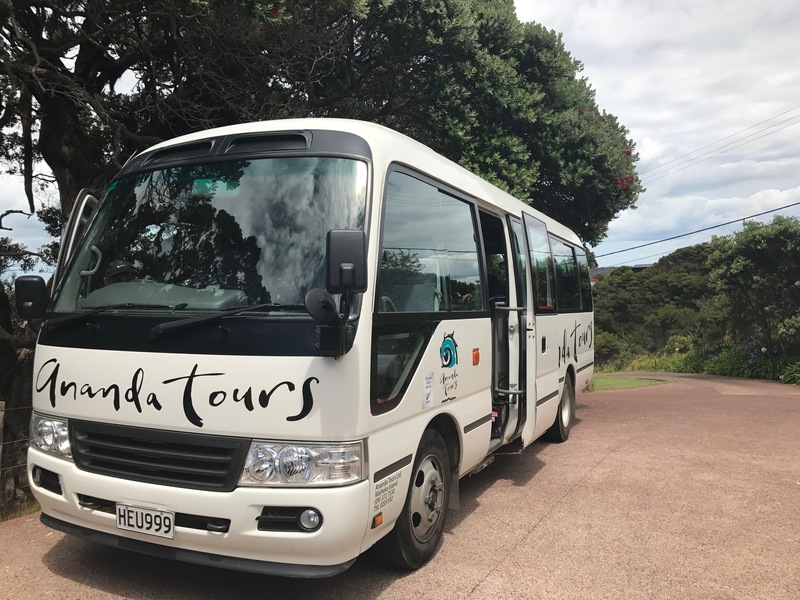 We pre-booked this with Dialaflight and went with Ananda Tours. 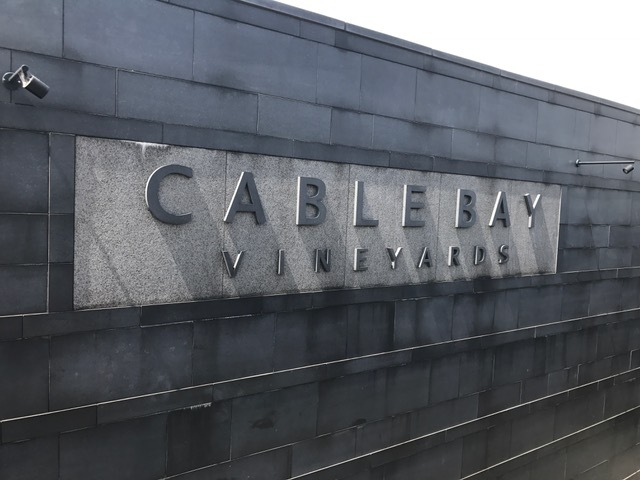 Also home to a 5-star restaurant – where you can enjoy awe-inspiring views over to Auckland – this was the most contemporary chic of the vineyards we made it to with a pretty glam cellar door. 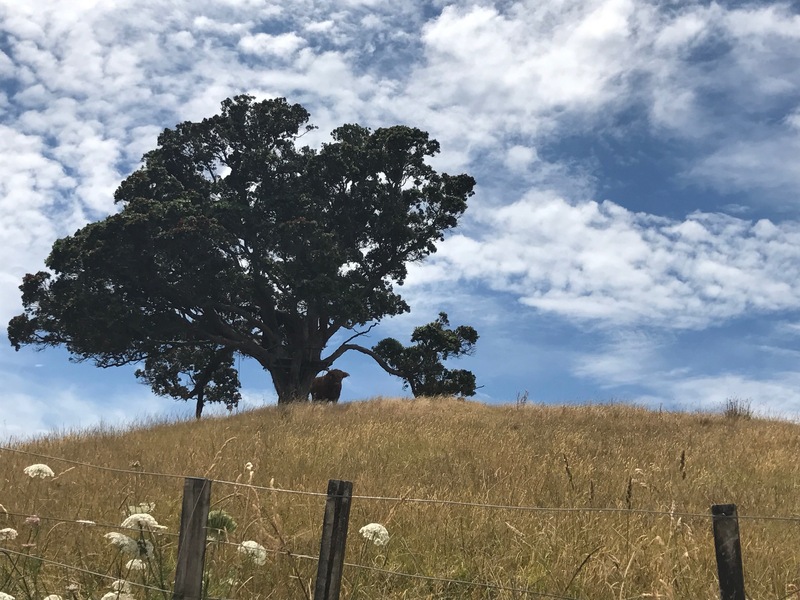 This was an organic vineyard, which uses the manure from two Scottish Highland Cows to fertilise the vines (naturally I felt an affinity to this vineyard when I saw the coooos). What’s more, they use Rose bushes (planted at the end of each vine) to attract any airborne diseases away from them. 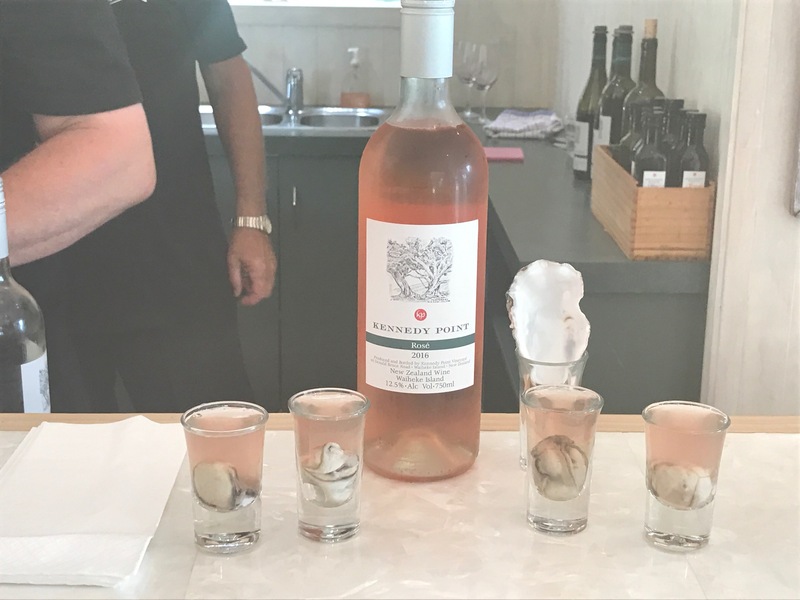 If you go, try the rosy wine and oyster shooters for $4… but whatever you do, don’t choke in front of your tour group as you nail it. Wine coming down your nostrils in front of a group staring at you in humorous wondermoent is not the nicest of experiences. 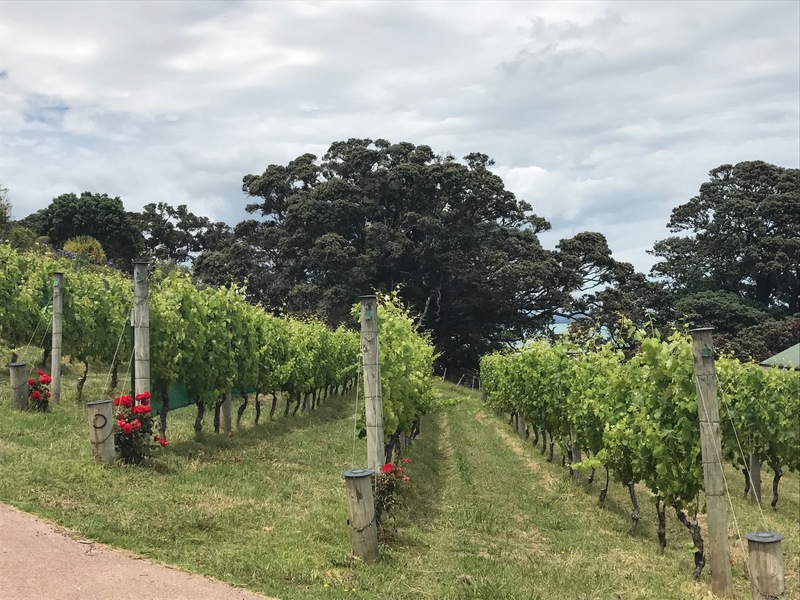 This is the highest vineyard on Waiheke and here they adopt a German style of with their vines – meaning the vines grow on vertical posts as opposed to horizontal. 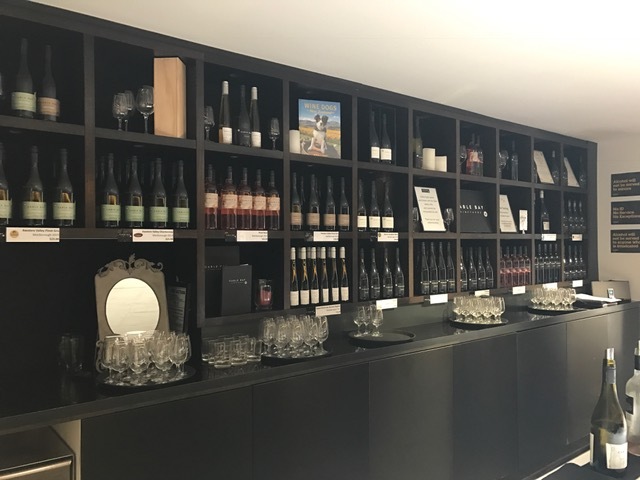 If you are anything like me and not a ‘spitter’ of wines when on a vineyard tour, by your third vineyard you will be pretty tipsy and this is why a big breakfast on the morning of your tour is key. Something we did not do given we were at a festival the night prior and literally rolled out of bed and off on the tour. 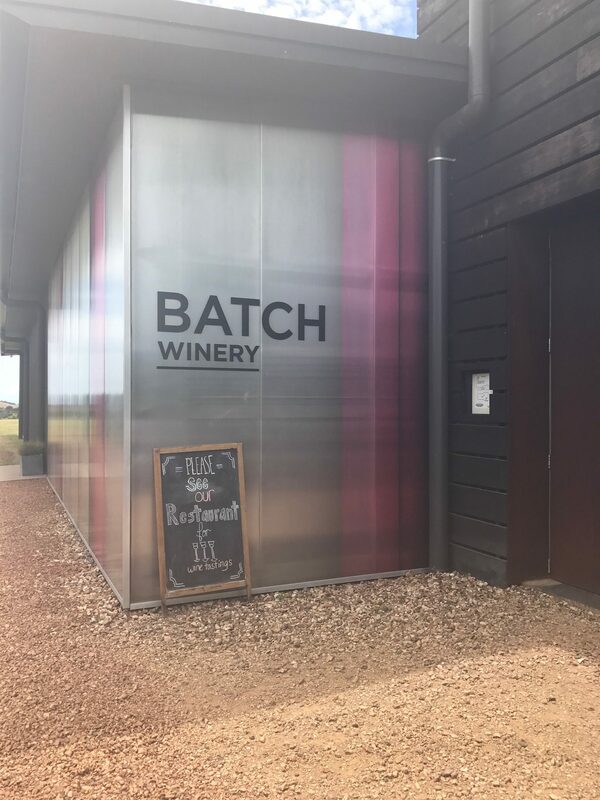 This had a much more laid back approach to their cellar door, but again produced an amazing array of wines. It was also here that we dined, yum! What I loved about this tour was the fact that each of the vineyards were boutique, meaning they are all totally different from each other. 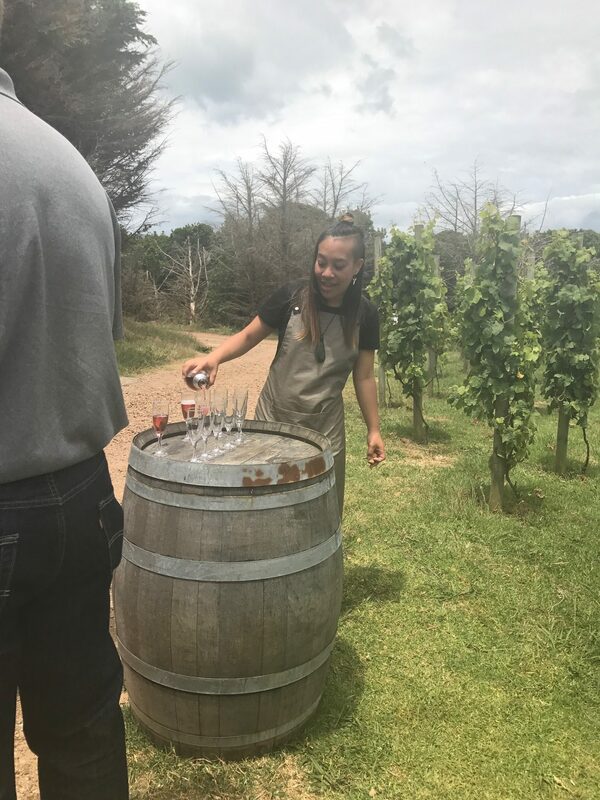 Our tour guide was also very knowledgeable about the island and showcased a true love of Waiheke. 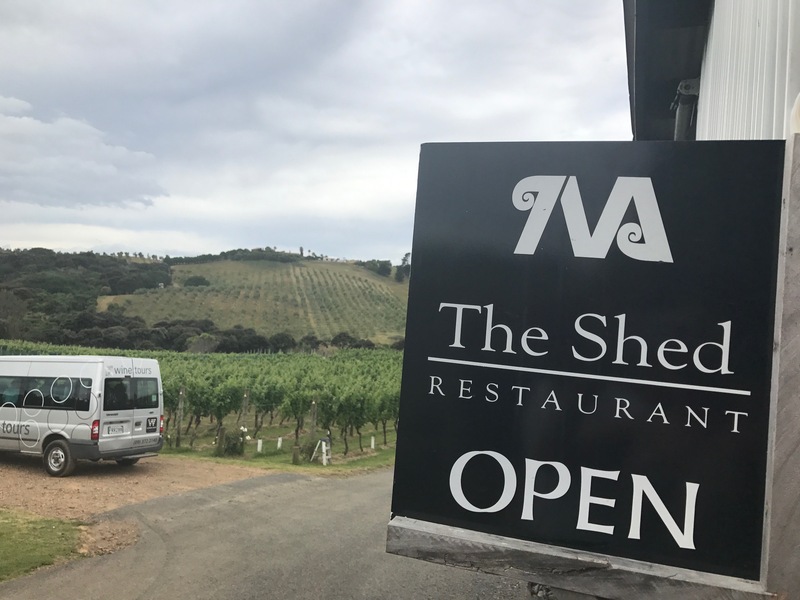 There is only one commercial vineyard on Waiheke (meaning they export outside of NZ) and that is the Man O’ War vineyard. 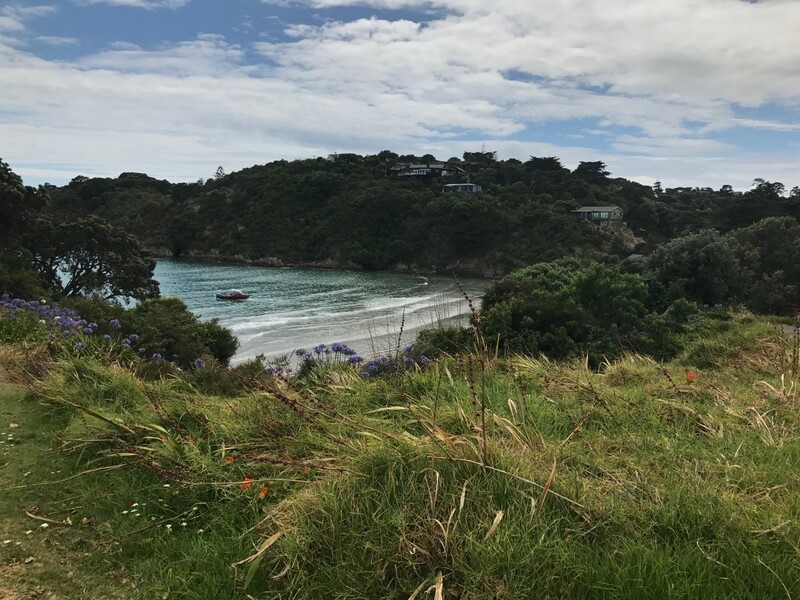 Waiheke Islanders have to collect the water they use from rain or buy in tankers of the stuff. So if you stay there, please be mindful of the water you use in showers etc. There’s plenty to be merry about on this island, with the vibe which has been likened to Ibiza and Byron Bay. 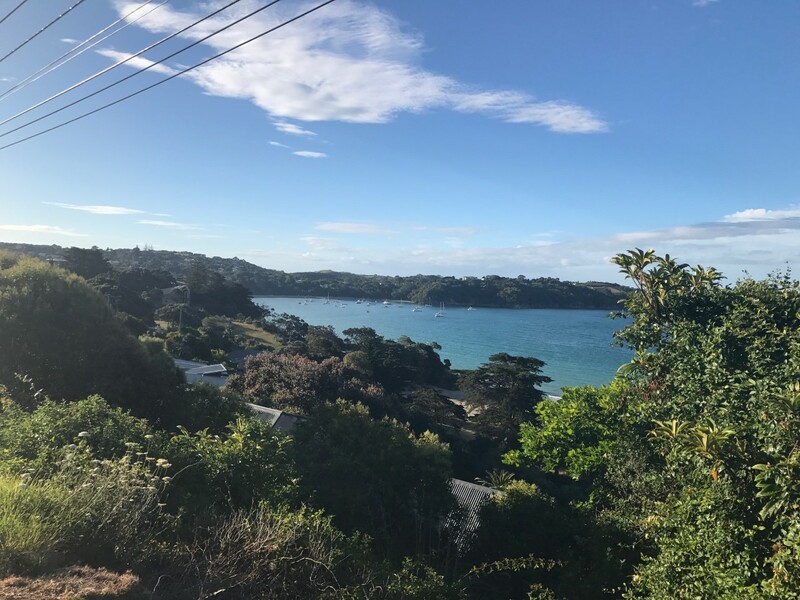 Initially Waiheke was inhabited by creative types who wanted to escape the humdrum of city life. 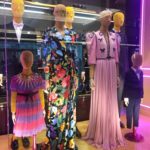 Because of this, the real focus on art and nature is still a focal theme of this happy island. 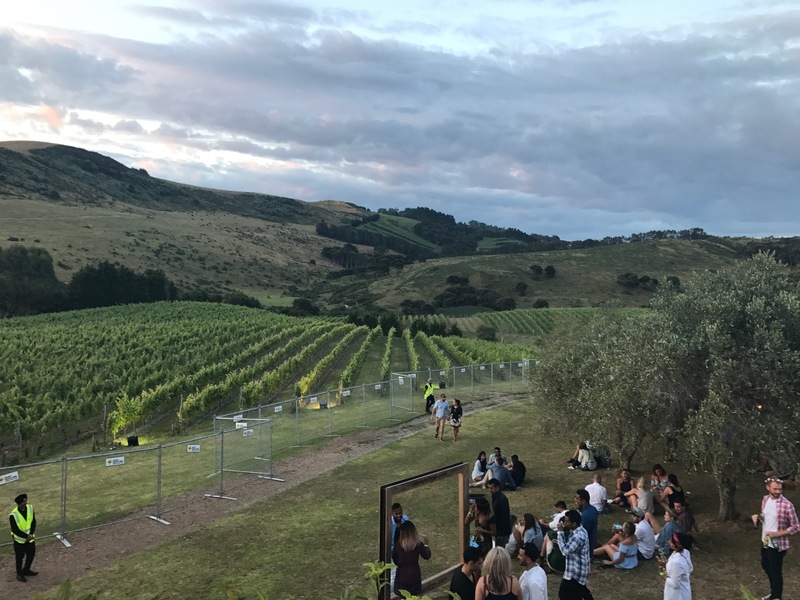 For us the main merriment came from the Highlife Festival at Stonyridge Vineyard on NYE. I have been to many a festival in Scotland, but never have I been to one in such a sophisticated location. Although in saying that, this festival was just equally as wild. 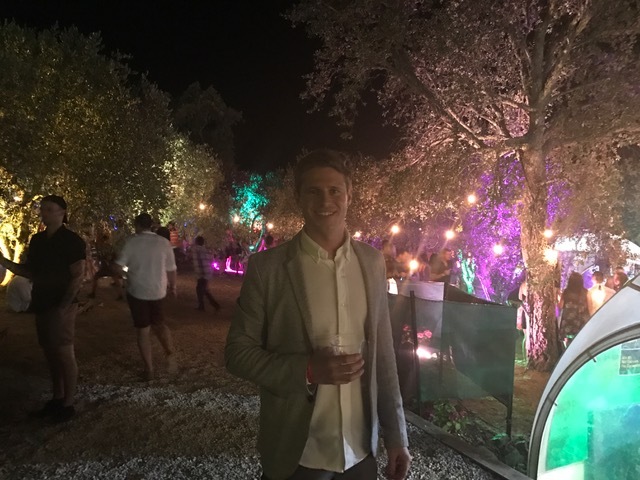 With 3 stages playing host to an array of DJs, fire dancers, naked folk kicking about with painted bodies, massive disco balls everywhere, an amazing firework show and a never ending stock of wine, this was my type of festival! Running from 2 until 2, Highlife was was attended by 4K people and if I ever returned at that time of year, I would go back. The Kiwis have to be some of the friendliest people I have met and so the spirits were high at Highlife. So high were some, that I had a moment with a group of younger boys staring and smiling at me for period, until one ventured over to ask if I was Toni Marsh. Of course I replied no, but was chuffed to hear that she was a ‘hot’ weather girl in NZ. 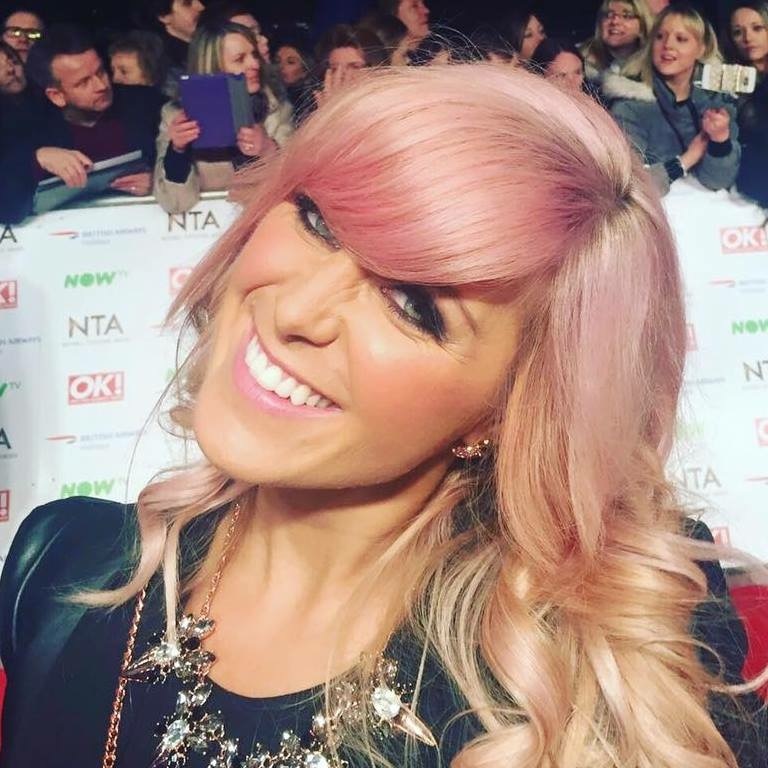 Having received such a complement and with my imminent 30th birthday just around the corner, I have to admit my thoughts were that I must still ‘have it’ … that is of course until I got home, Googled Toni Marsh and found out that she is in fact 13 years my senior… smashing. 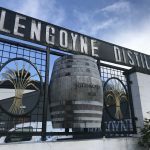 The bus driver of our wine tour told us that Stonyridge was going to take a break from hosting the festival, due to the damage of the lawn each year. 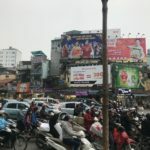 If you do ever get to go however, my advice is to book a taxi to pick you up when the festival ends. We had to walk for miles until we managed to flag one down. 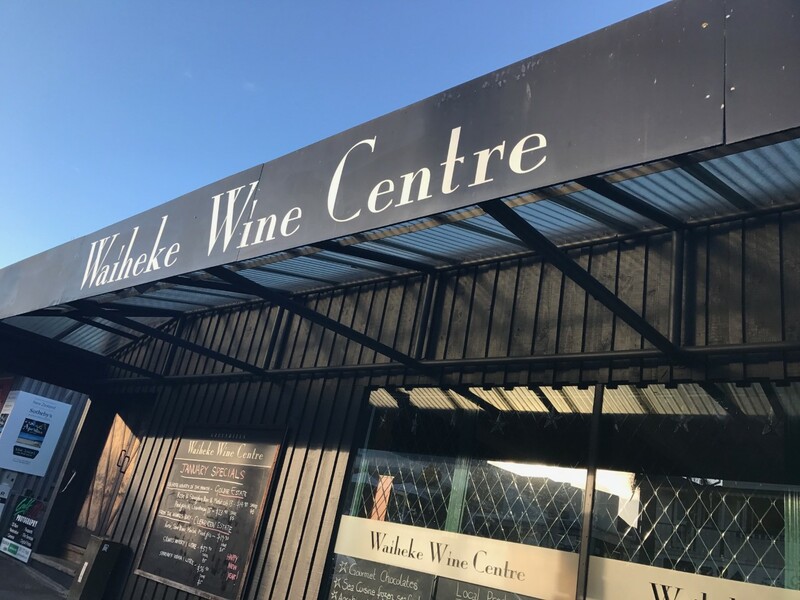 GO TO WAIHEKE! 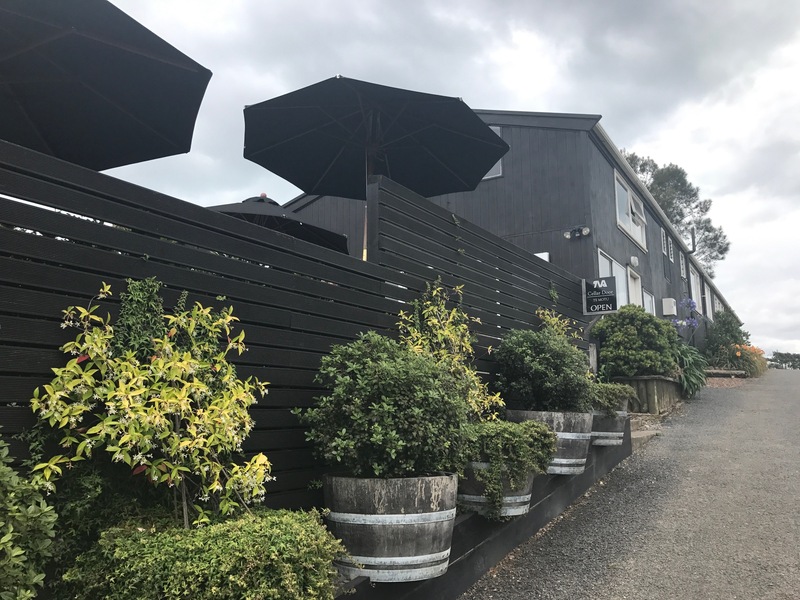 And if you need some inspo on where to stay then we resided in the Watermark Studio Apartments in Oneroa. 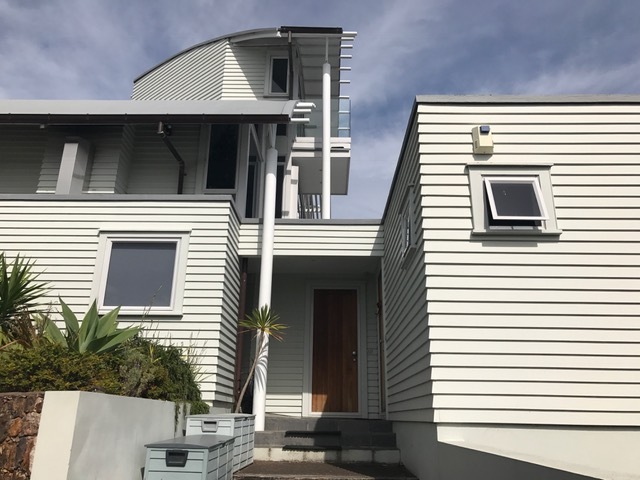 Owned by an exceptionally lovely and helpful lady called Jo, this stylish apartment offered us stunning seaviews and the perfect location from which to explore the main town of Oneroa itself and of course venture to the beach with a bottle of wine. 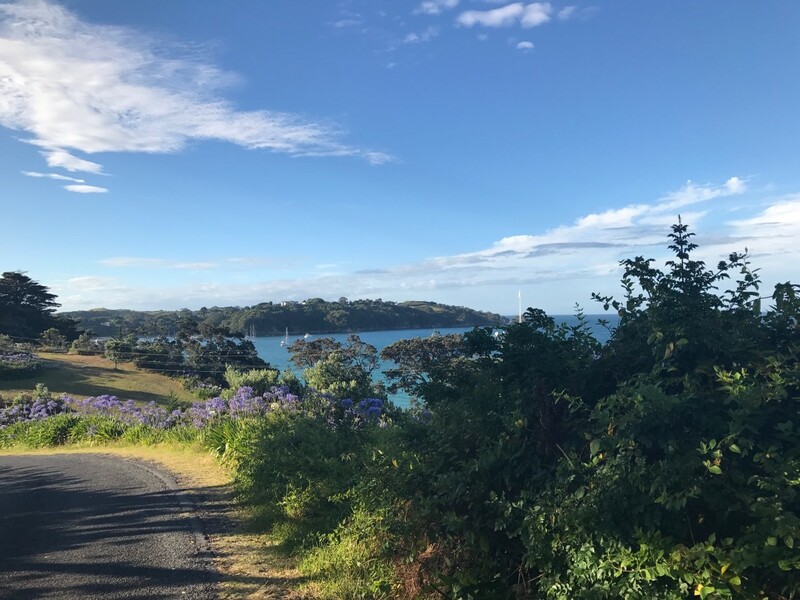 Oh and you should know that Waiheke is very hilly, so the romantic idea of a bike ride is great, but also bloody hard work!! 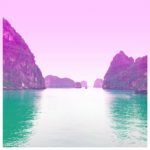 Have you ever been to this magical island? 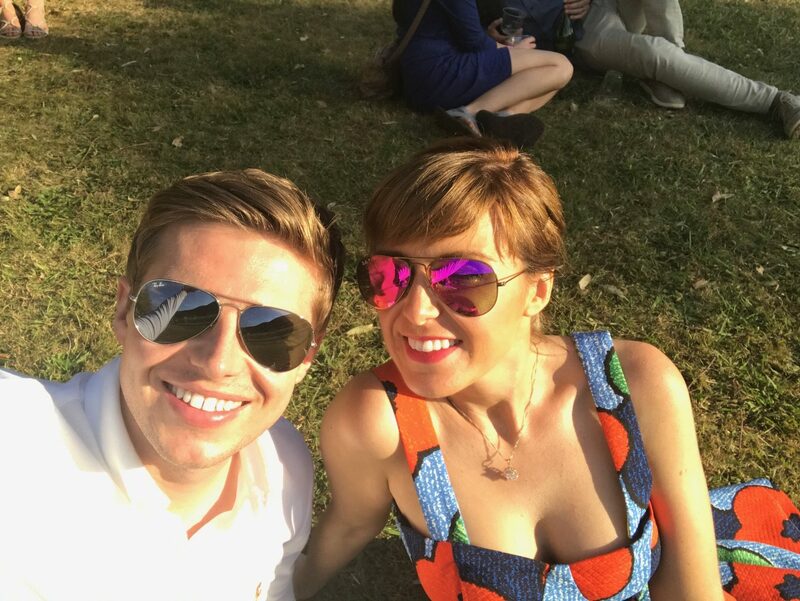 I would love to hear what you got up to.